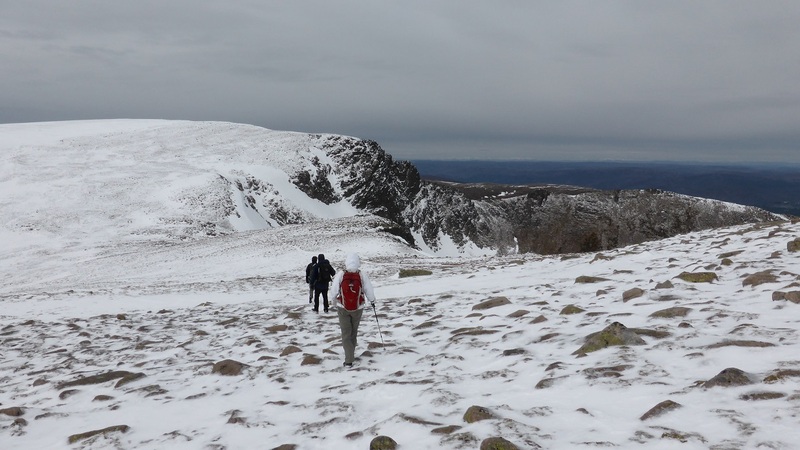 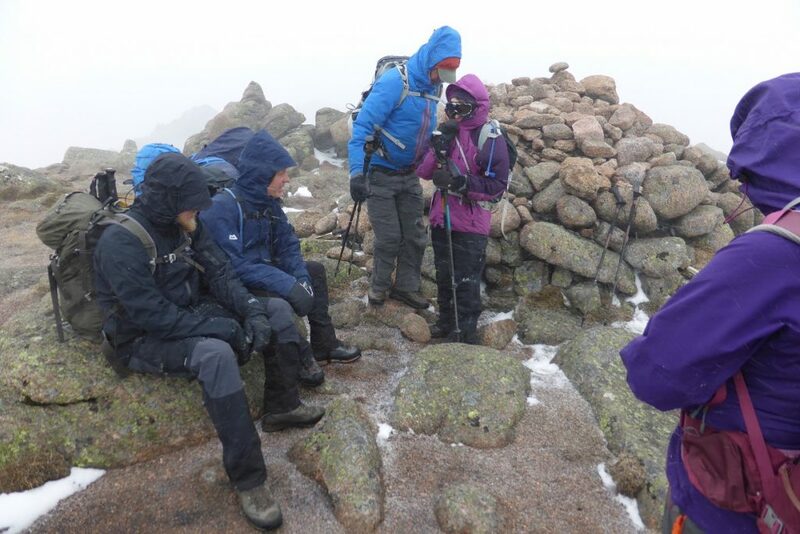 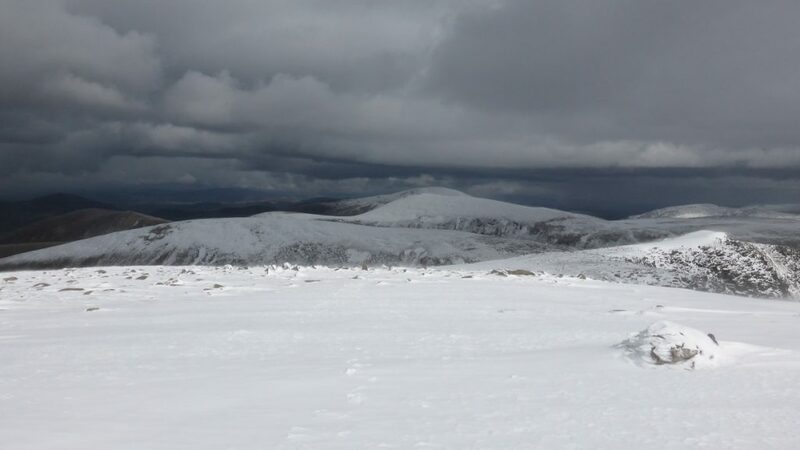 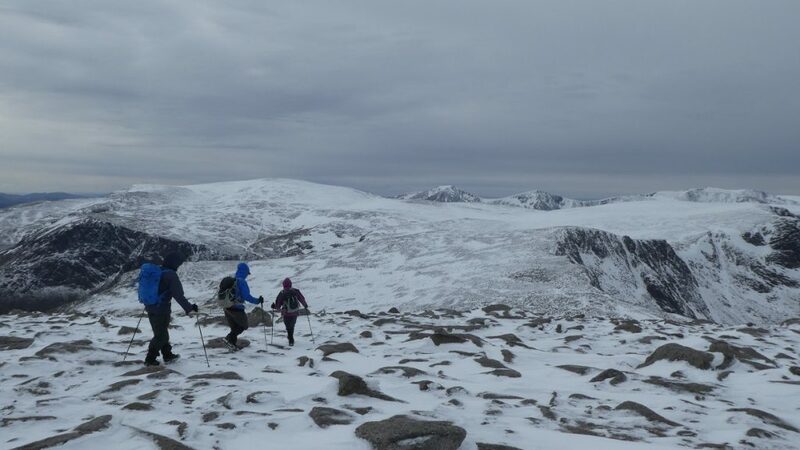 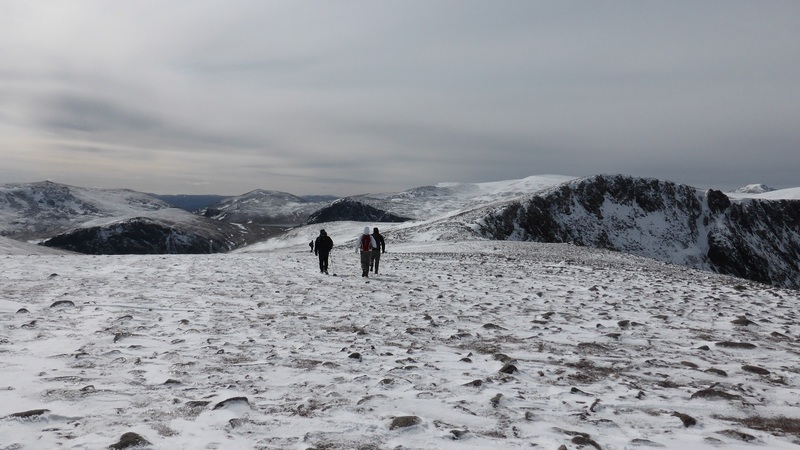 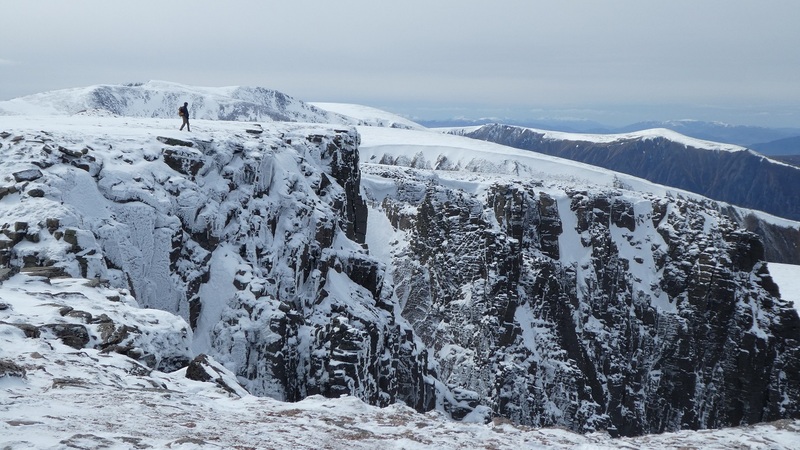 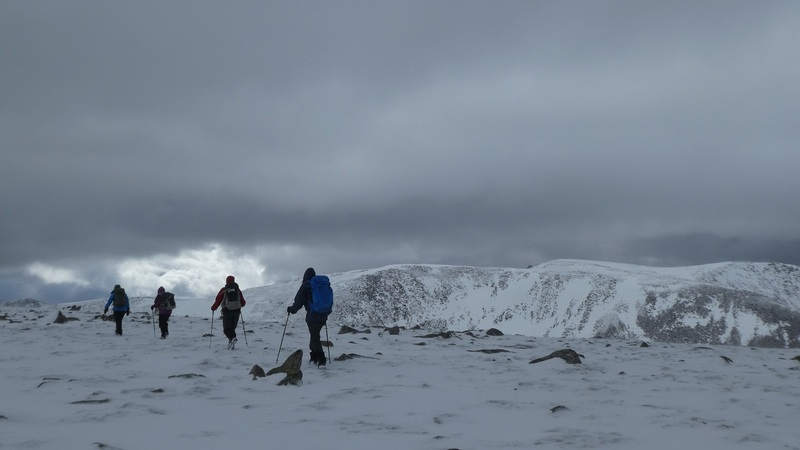 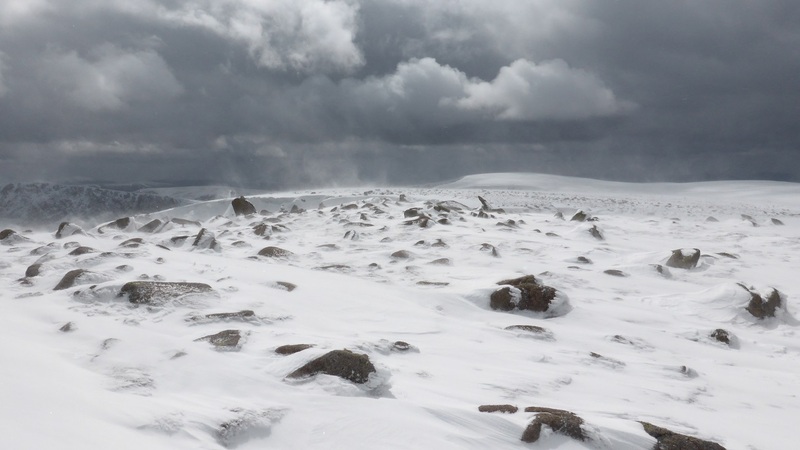 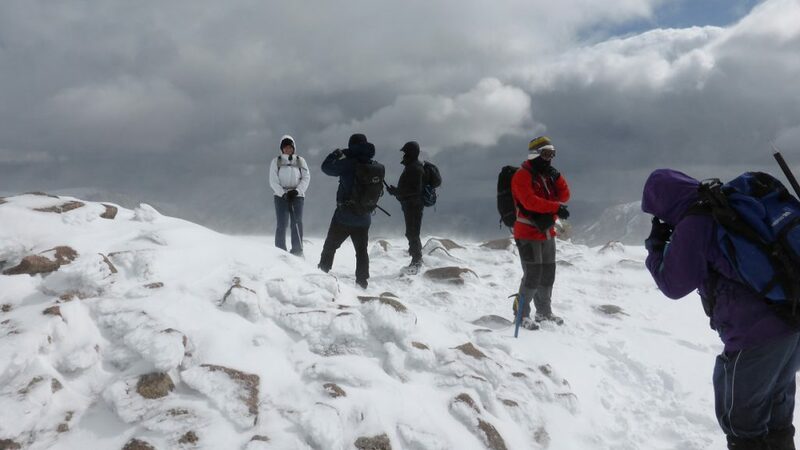 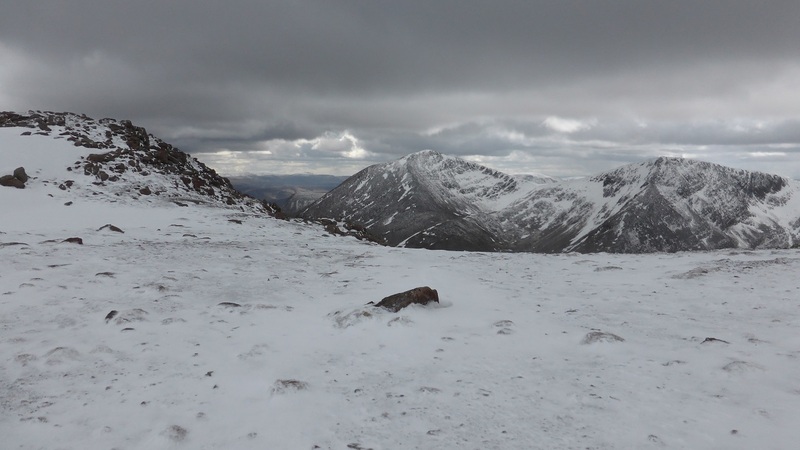 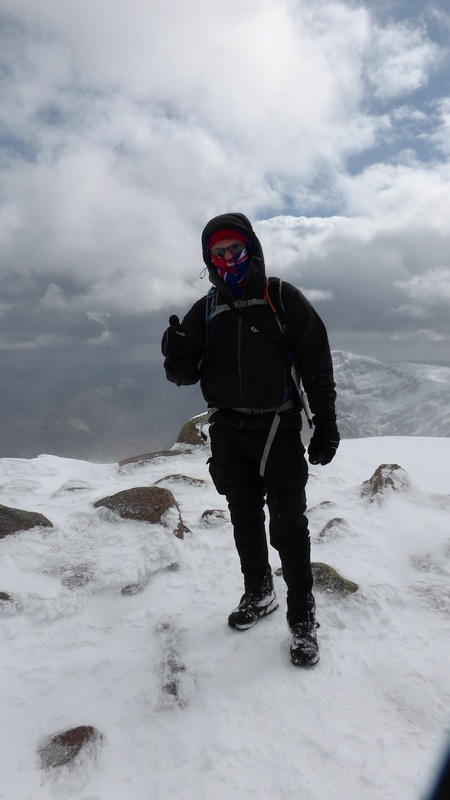 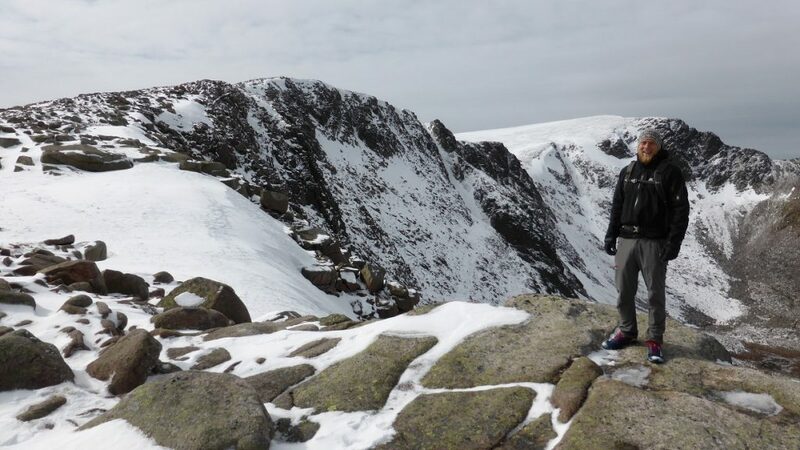 Another fantastic Easter week in Scotland – we may not have had the brilliant blue skies as in previous years, but we all got out every day to enjoy the mountains, with some rather wintery weather some days. 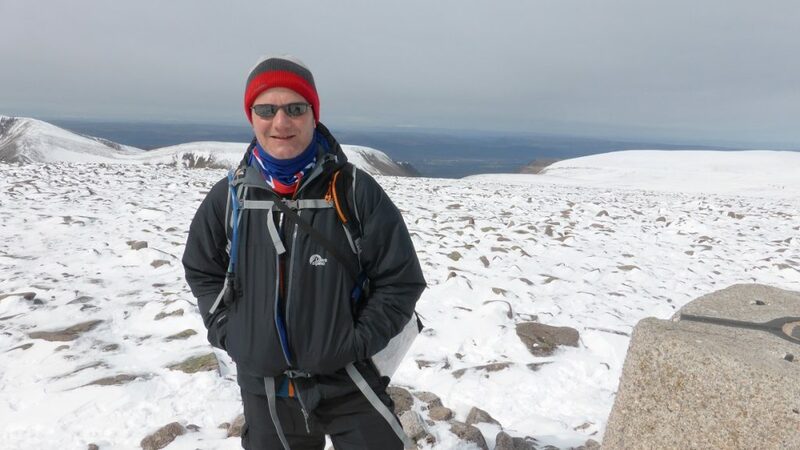 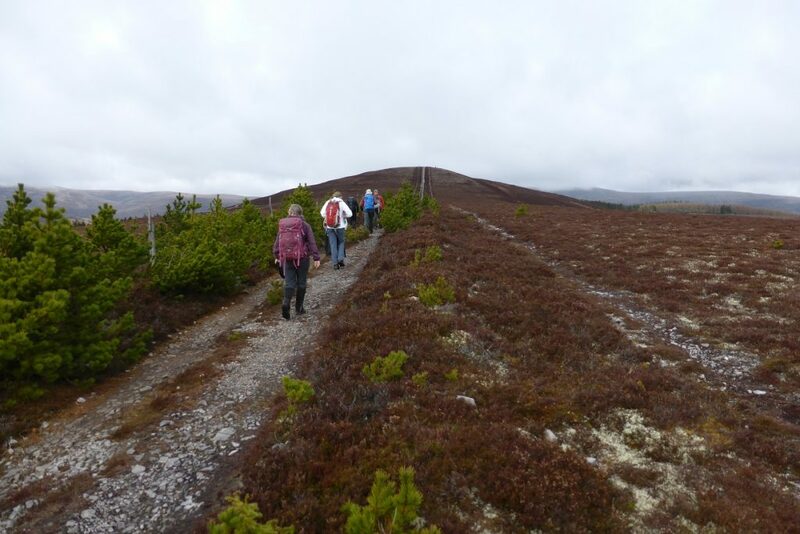 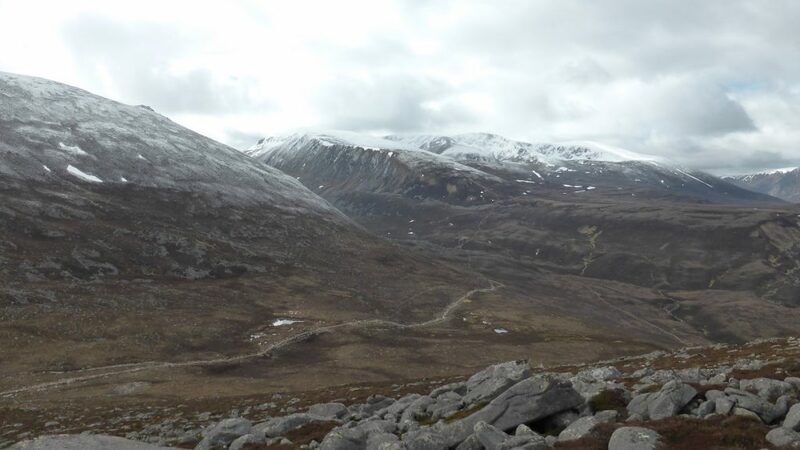 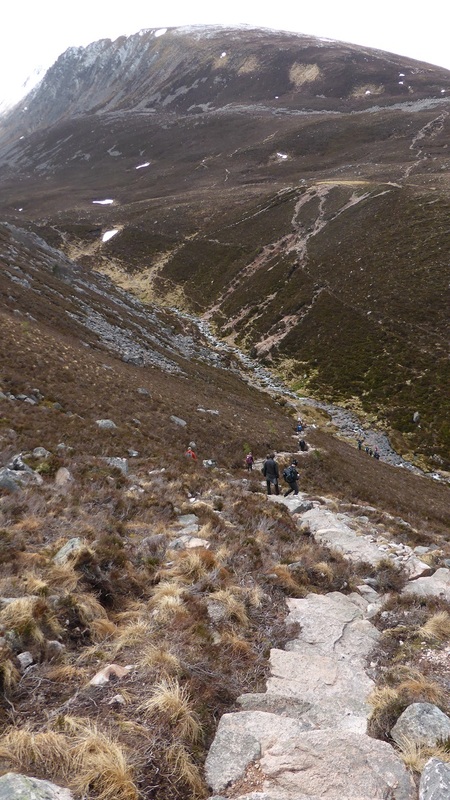 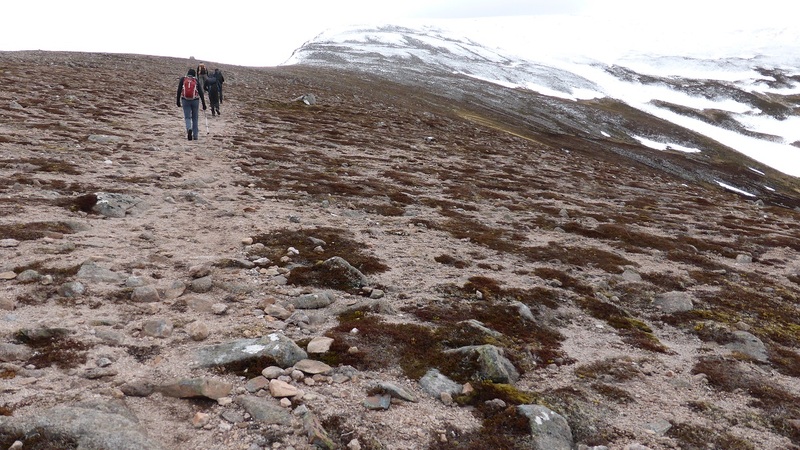 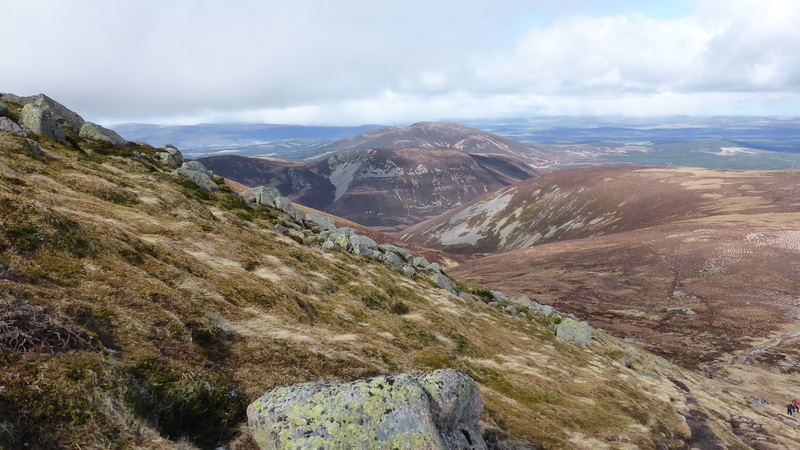 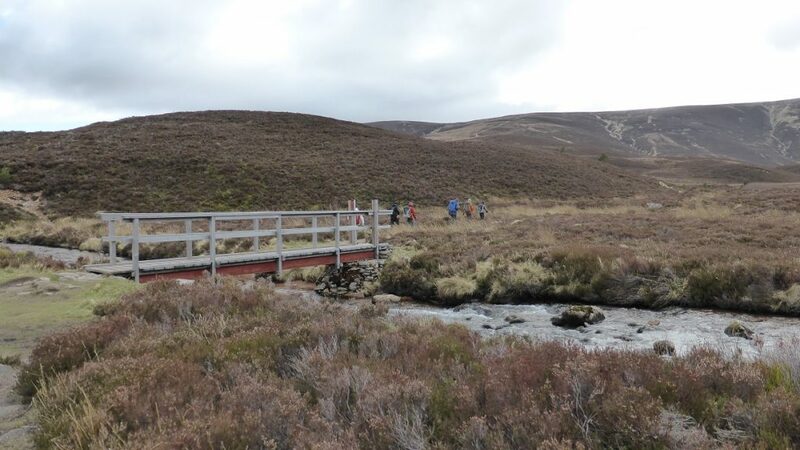 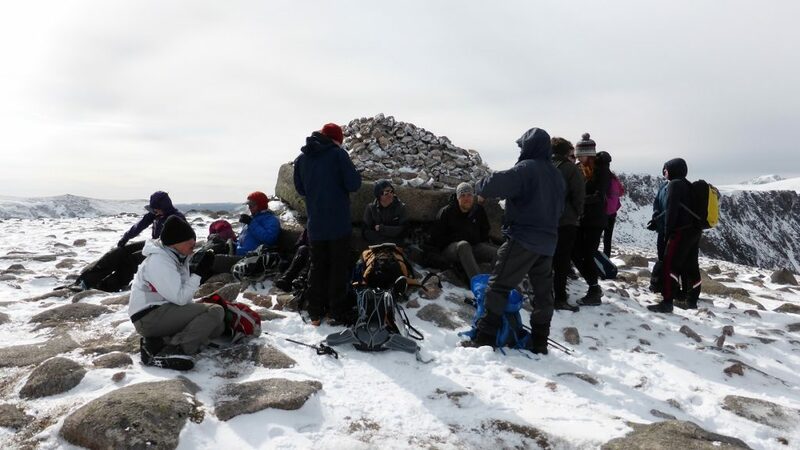 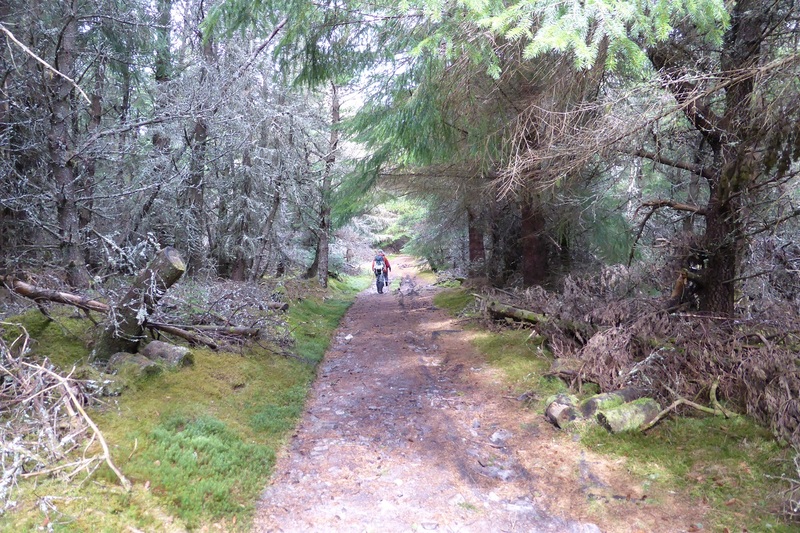 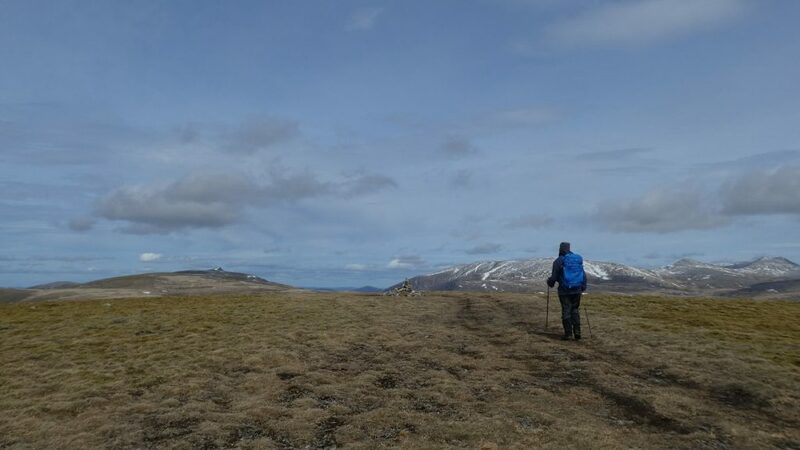 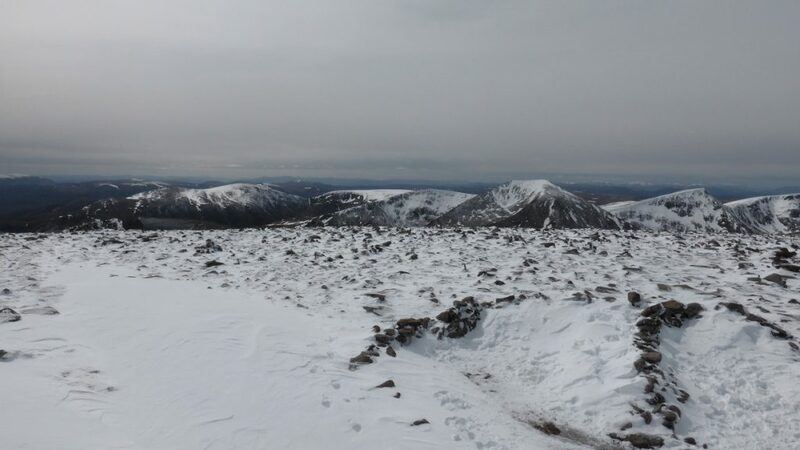 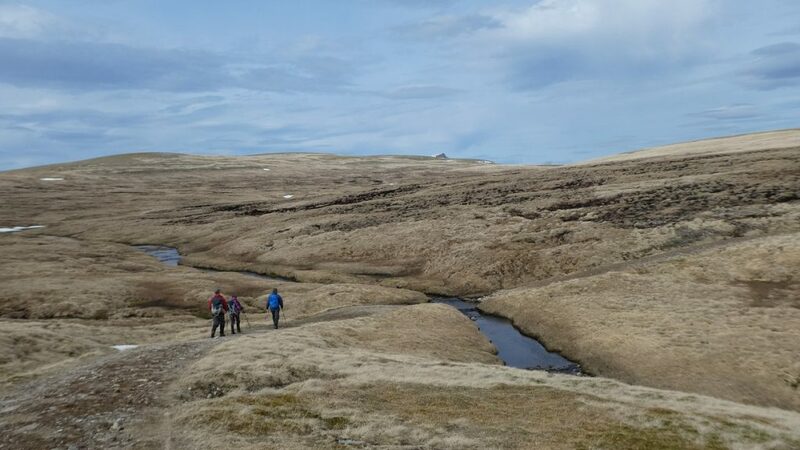 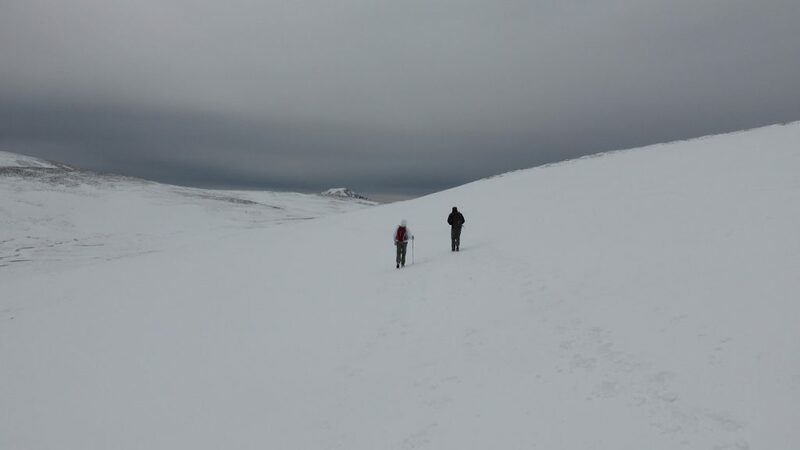 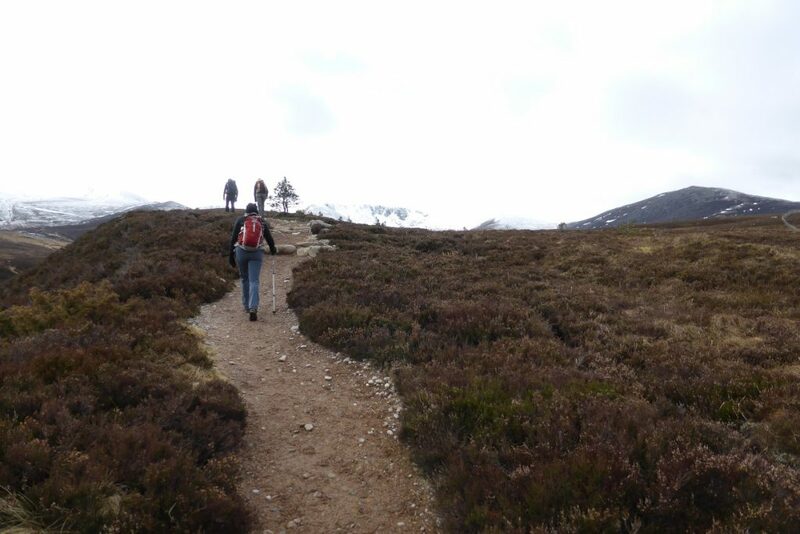 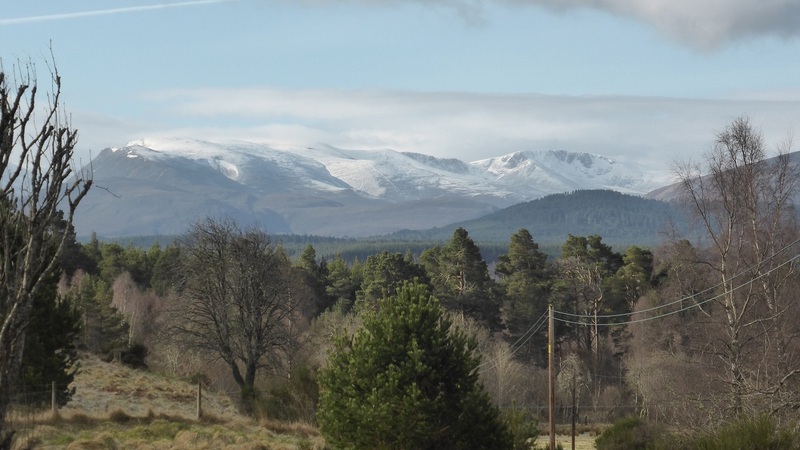 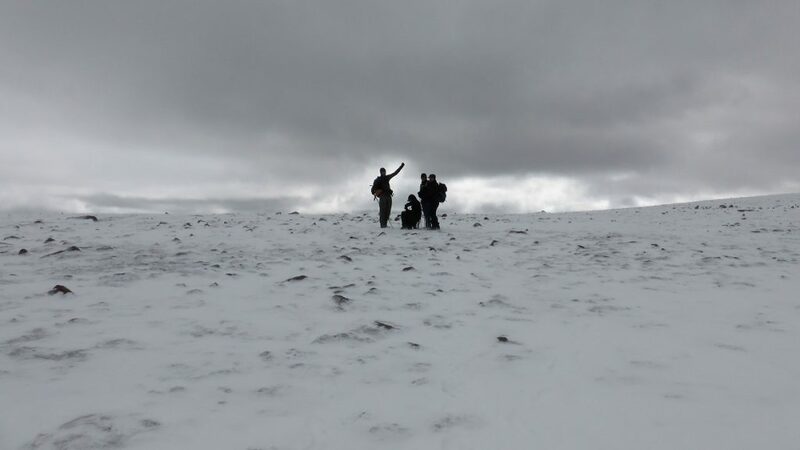 Mark achieved the highest count of munros (14), starting off with four on the journey up after he and Tricia “wild” camped in between the A9 and the railway line at Drummochter Pass. 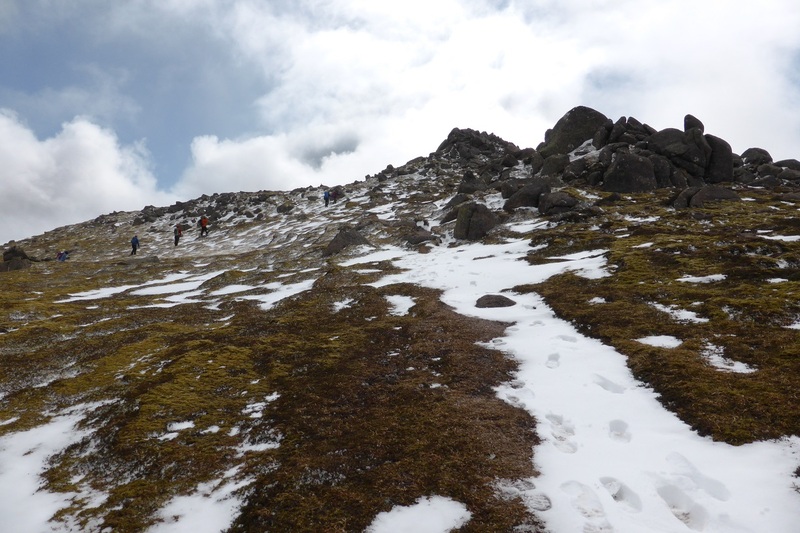 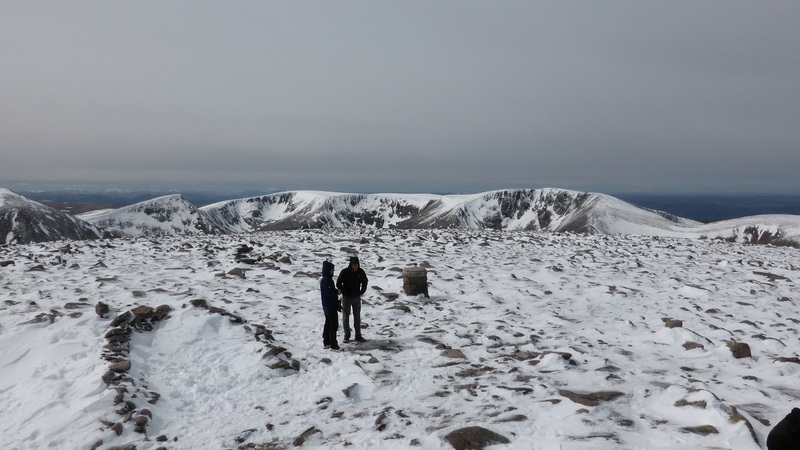 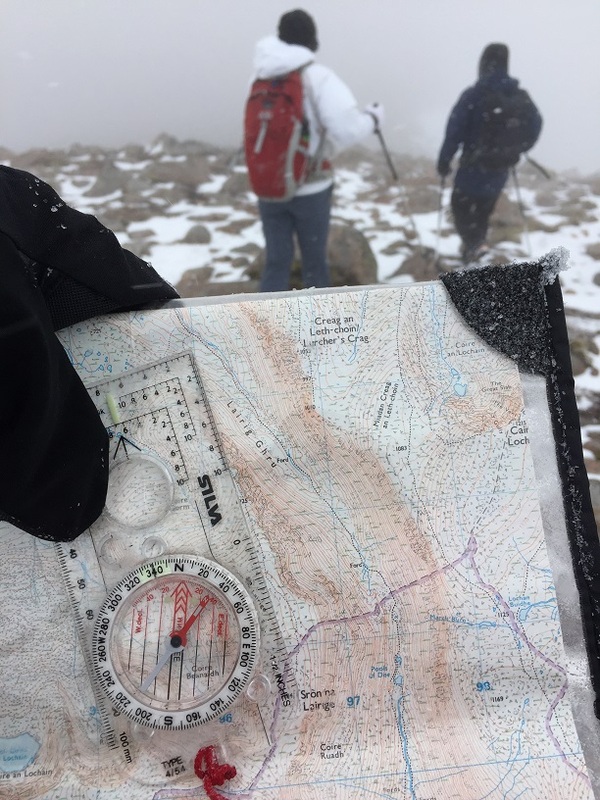 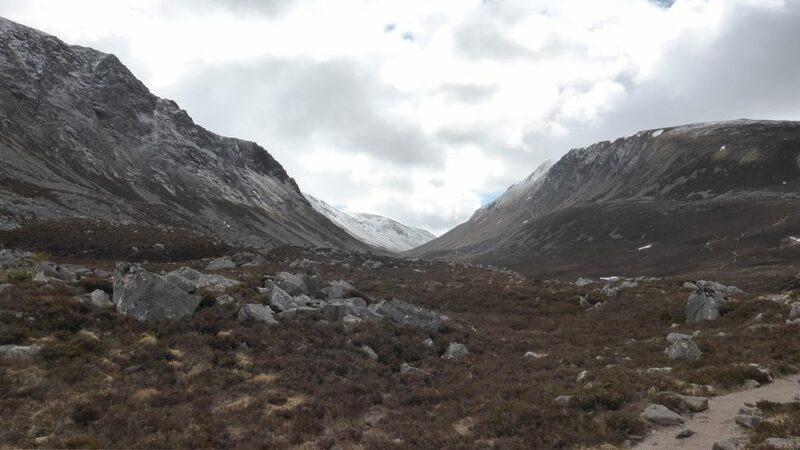 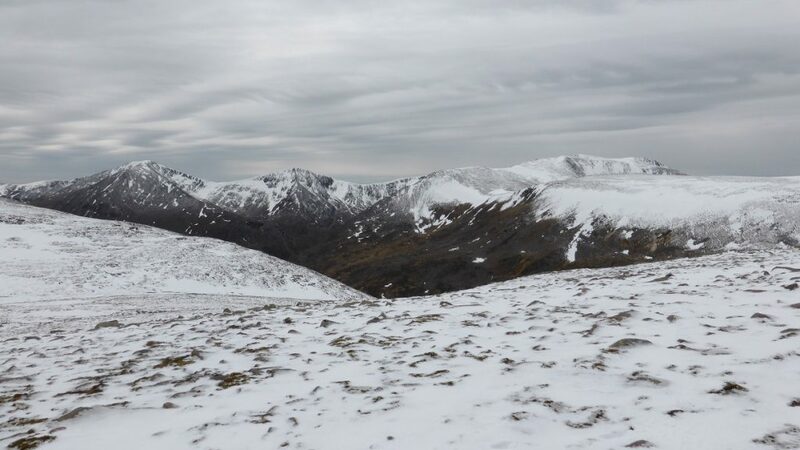 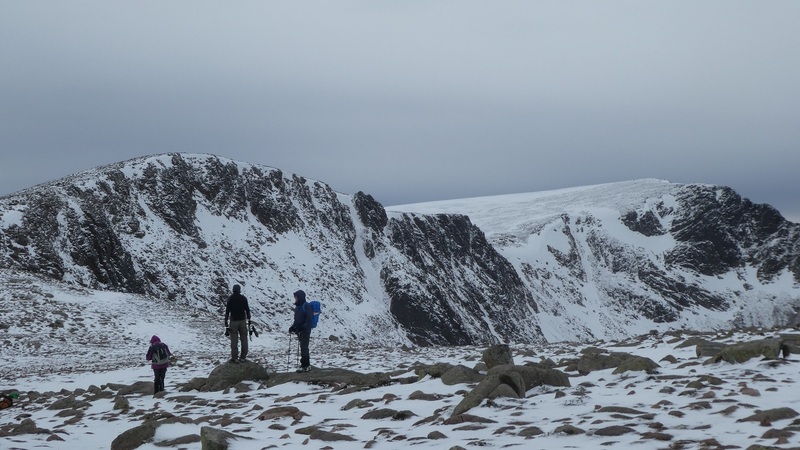 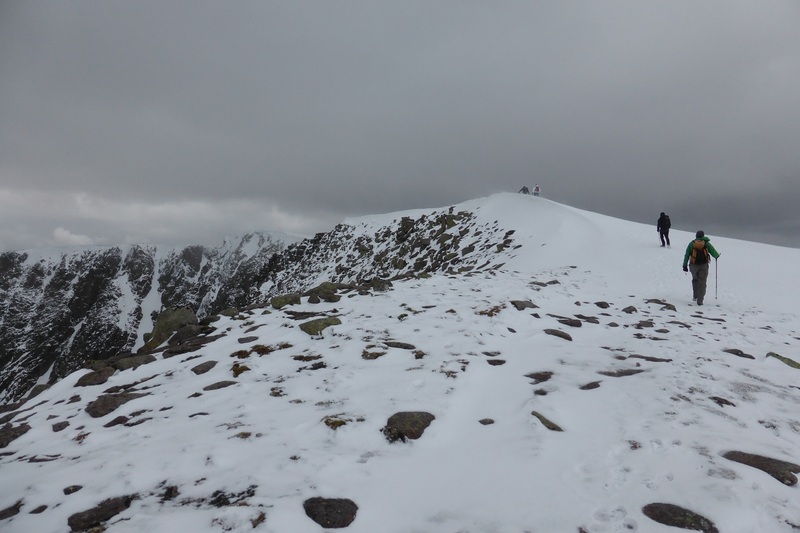 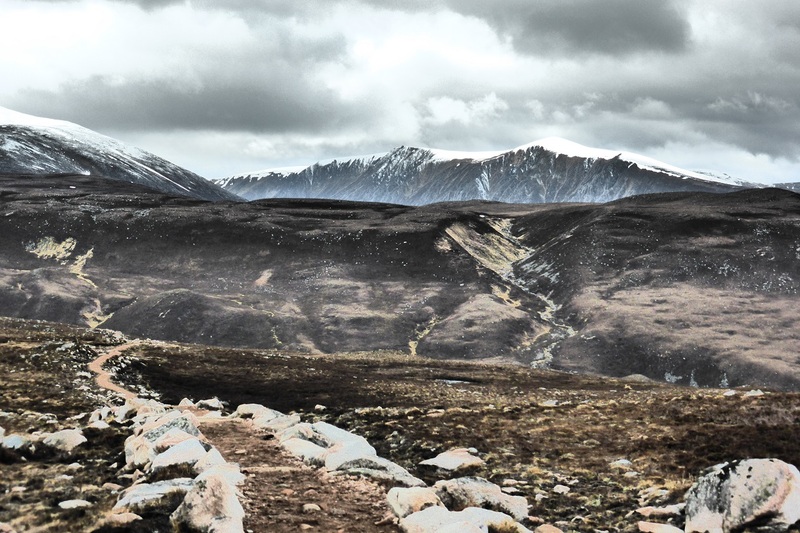 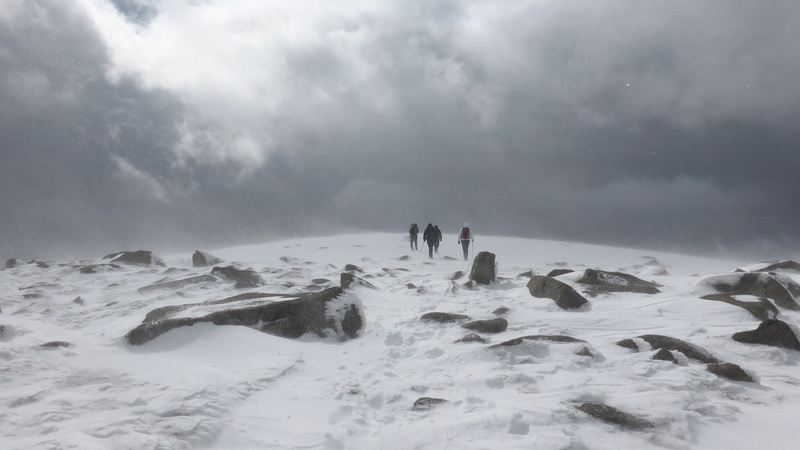 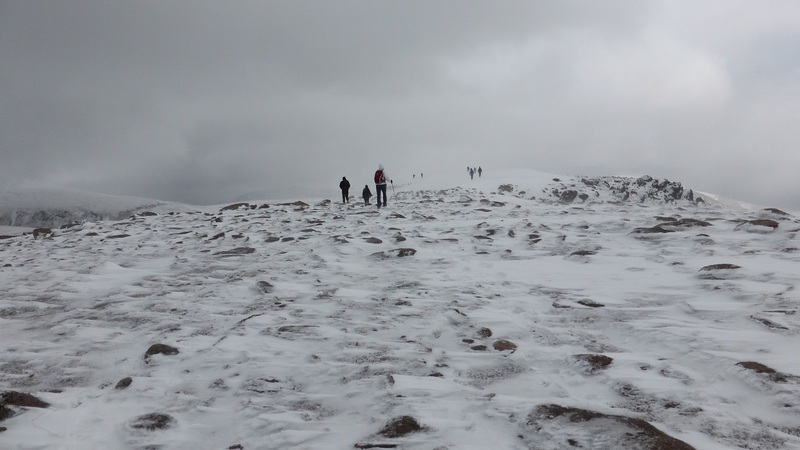 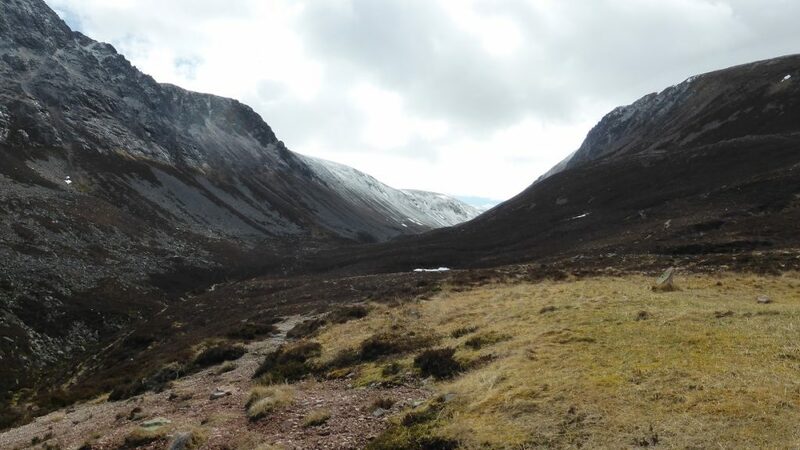 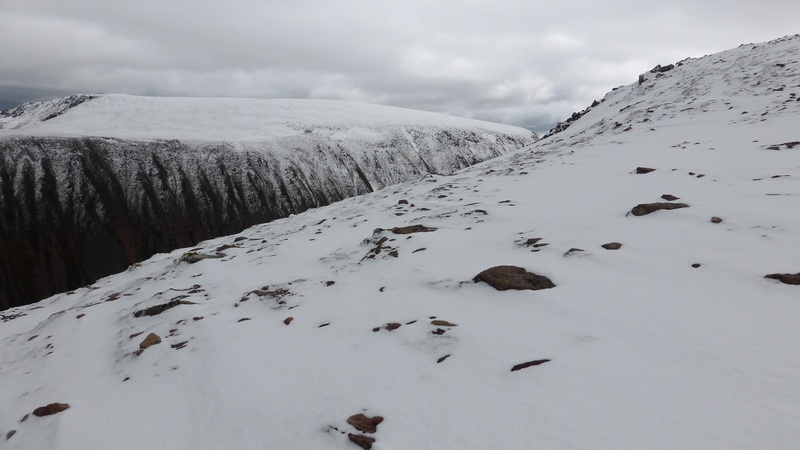 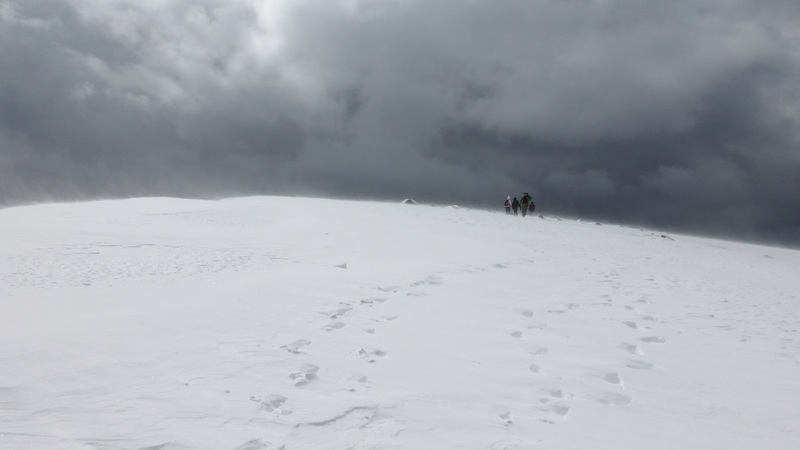 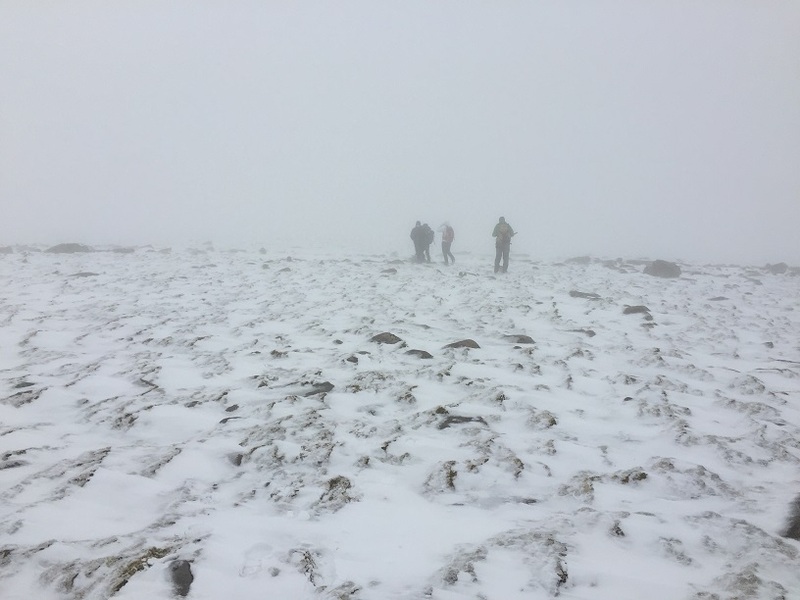 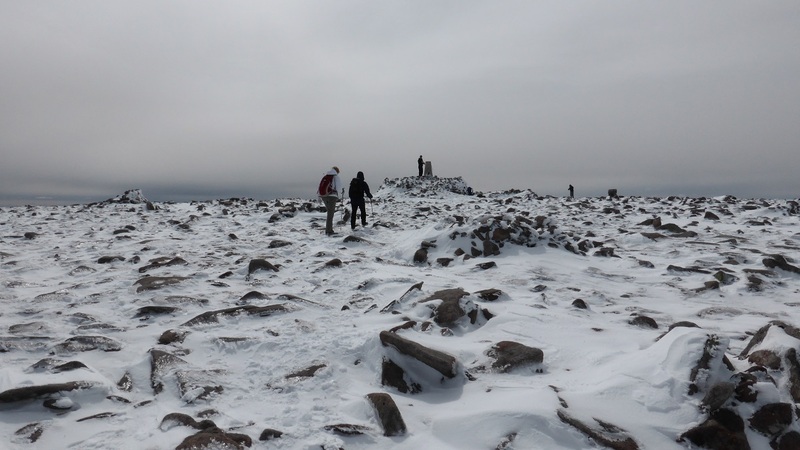 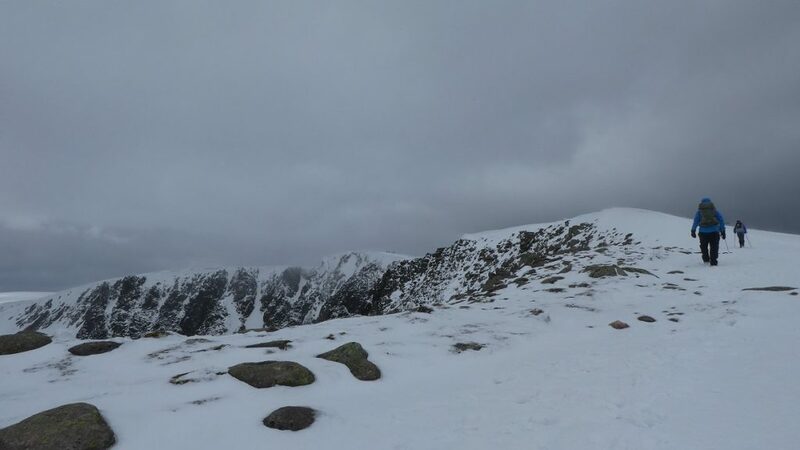 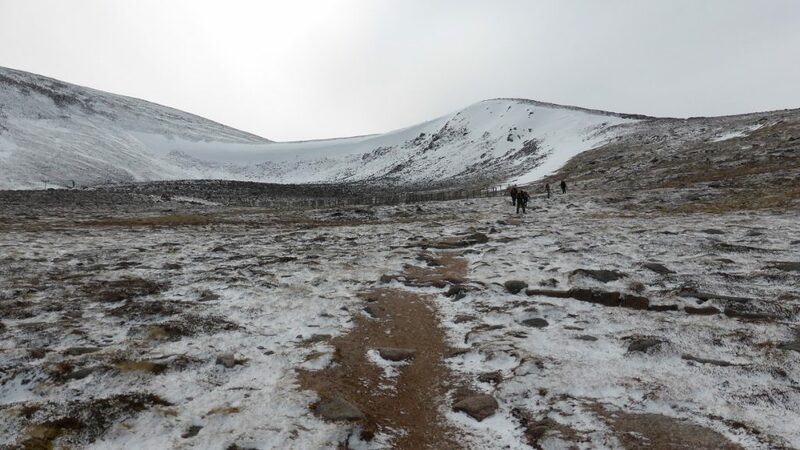 The longest day saw most of us climb Braeriach (returning through a blizzard, testing our navigational skills) whilst Mark and Isaac continued their run to include Angels Peak, Cairn Toul, and Devils Point, returning over the Lairig Ghru (phew). 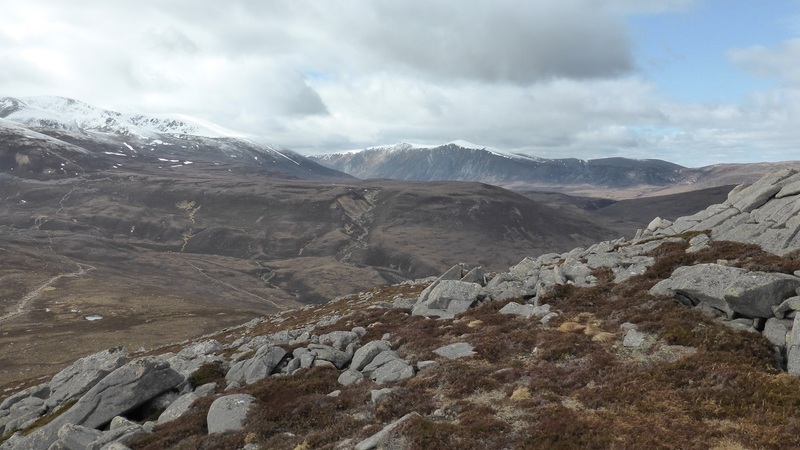 Other munros climbed during the week were Bynack More, Cairngorm, Ben Macdui, Ben Mheadhoin, and Mullach Clach a Bhlair and Sgor Gaoith from lovely Glen Feshie. 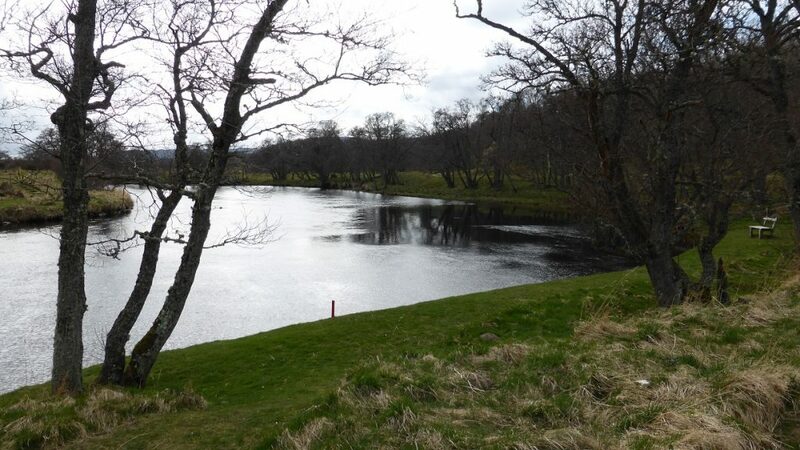 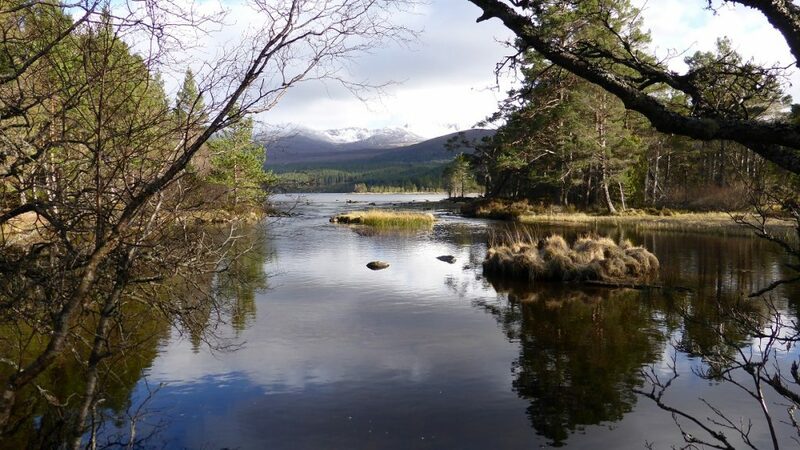 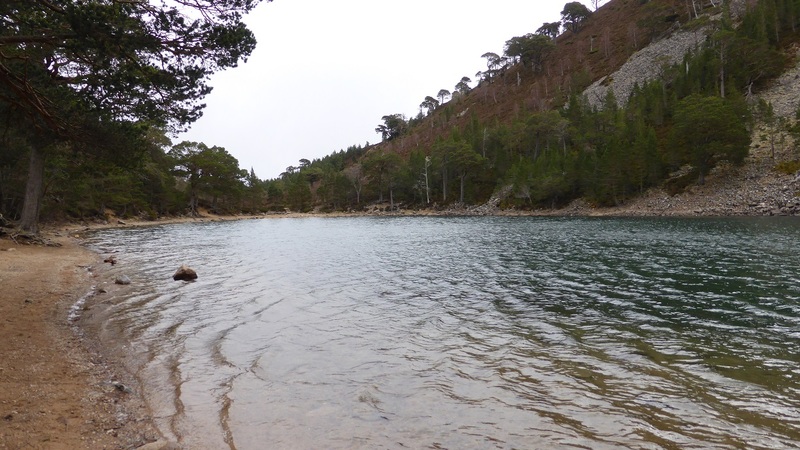 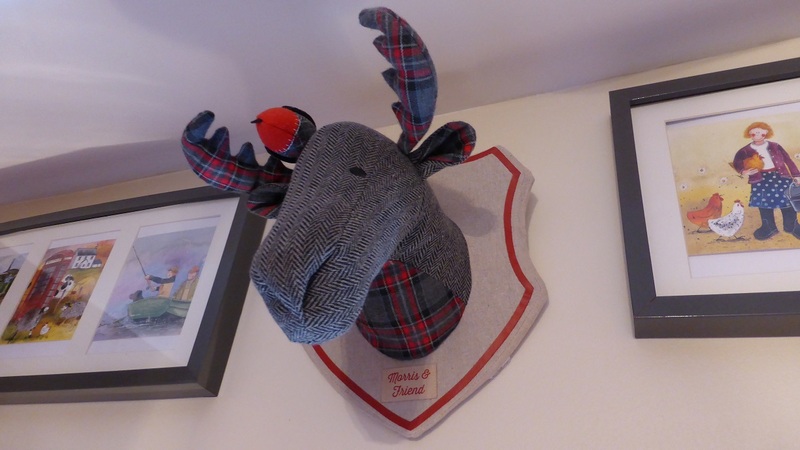 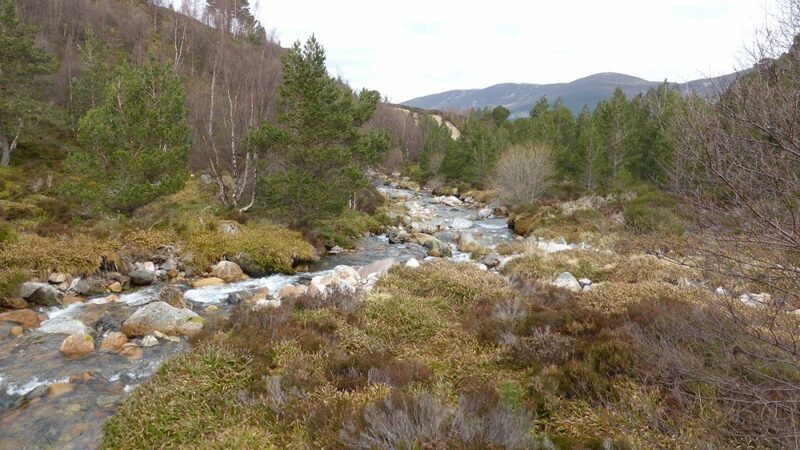 Shorter lower level walks and bike rides were enjoyed along the River Spey and the pine forests, whilst a contingent hired bikes from Aviemore one day and without cycle pants had a painful end to the day (the wrapping of a fleece around the saddle just doesn’t do the job)! 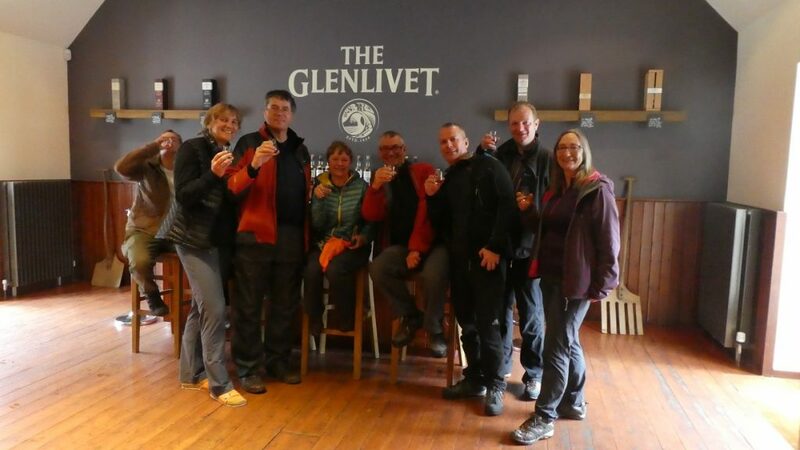 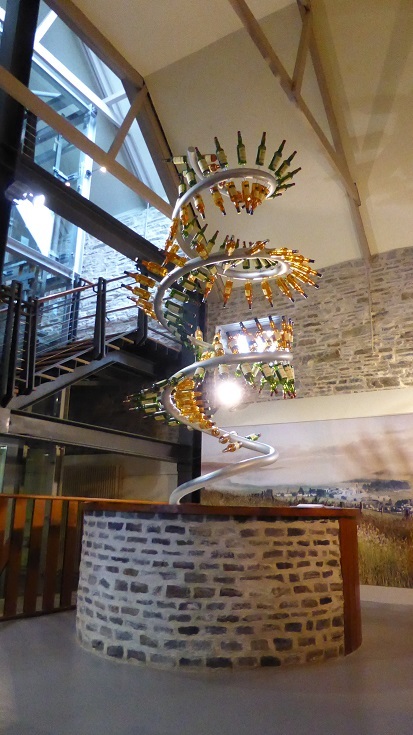 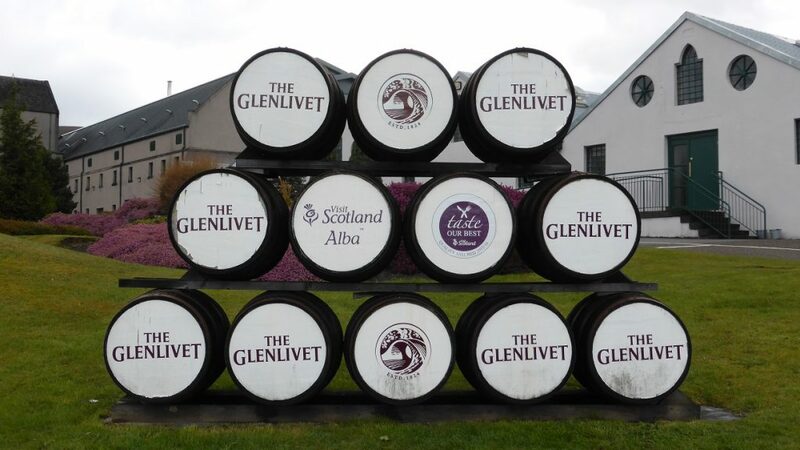 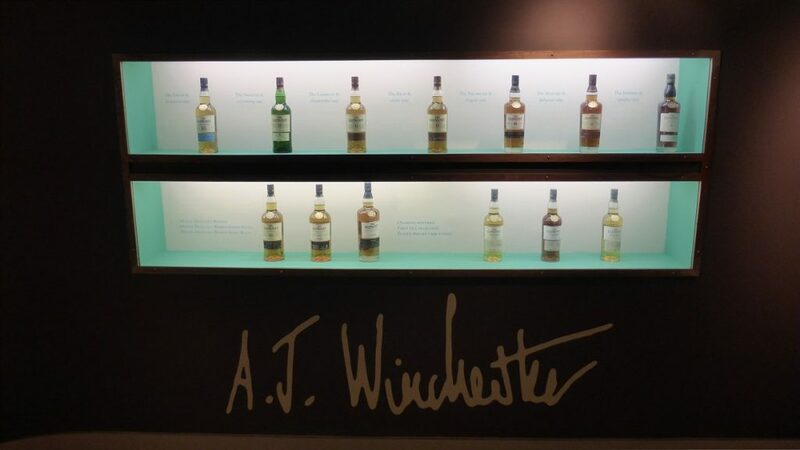 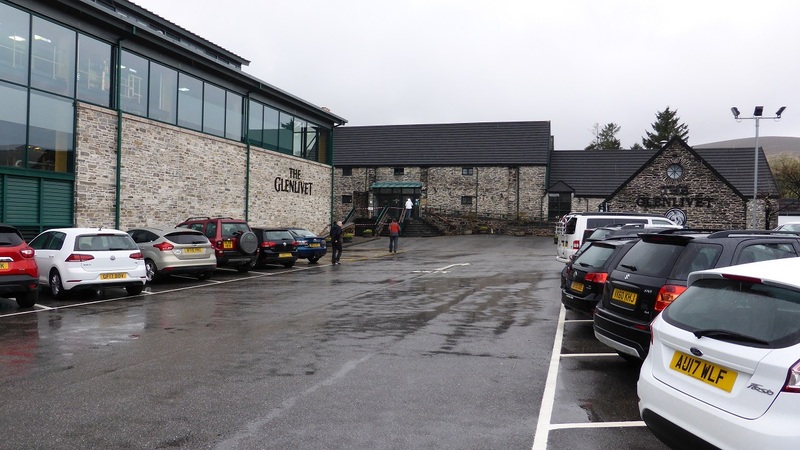 A trip over to Glenlivet to do a short walk up Carn Daimh finished with a tour round the distillery and some generous samples. 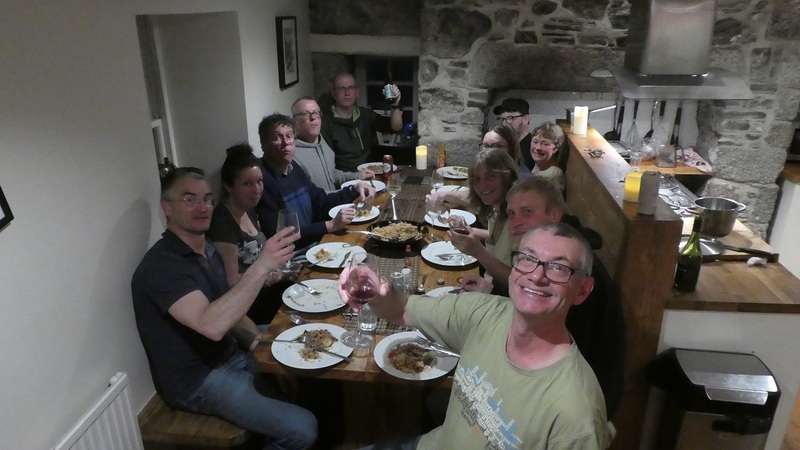 As usual, we ate very well every night, so many thanks to all the cooks – the bill coming to an average of only £3 per meal! 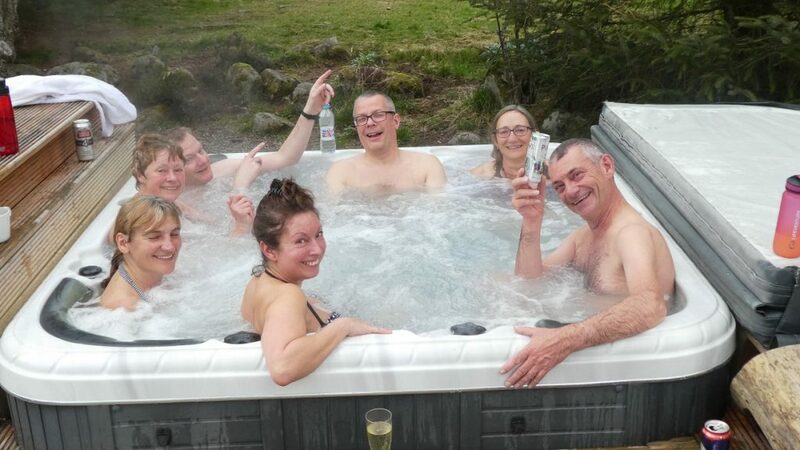 Most evenings we ate quite late, as it was difficult to extract people from the sauna and hot tub. 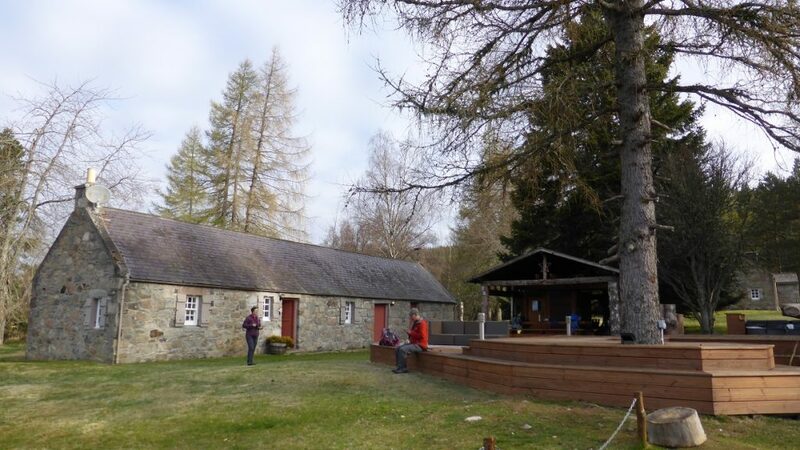 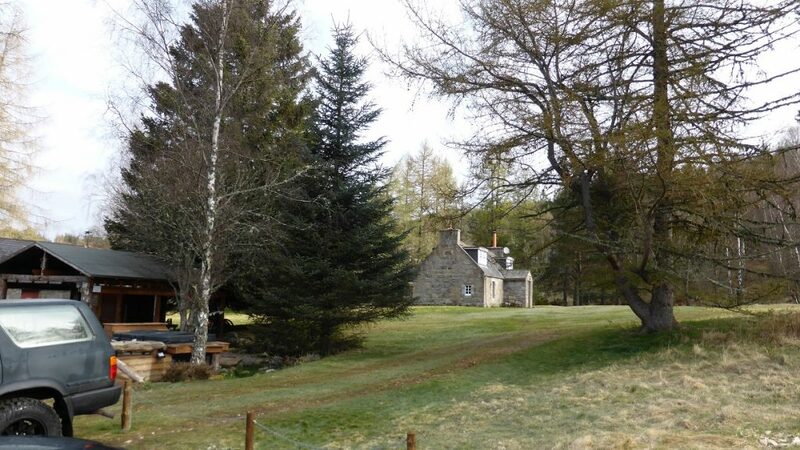 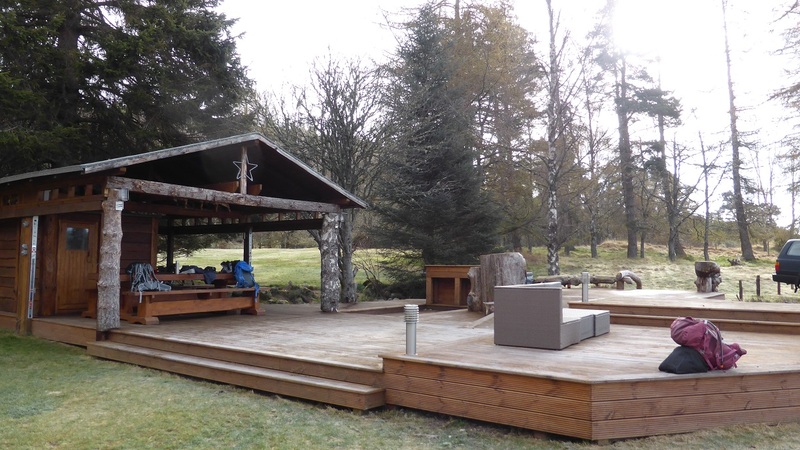 It is definitely the most funky place we have ever stayed and in such a beautiful isolated setting with views of the Cairngorm range.